Congress leader Priyanka Gandhi continued to show support for husband Robert Vadra by taking time away from campaigning to drop him off at the ED office. 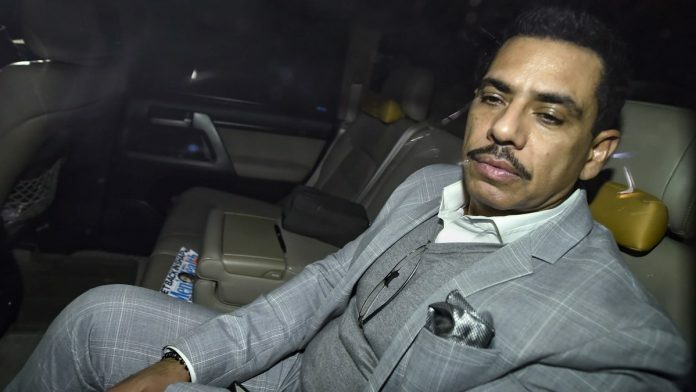 Jaipur: Robert Vadra, Congress president Rahul Gandhi’s brother-in-law, and his mother Maureen Tuesday appeared before the Enforcement Directorate in Jaipur in connection with a probe into an alleged land scam in Rajasthan’s Bikaner district. Near the ED office, some Congress workers shouted slogans in support of Priyanka Gandhi, and also repeated the slogan given by her brother Rahul Gandhi, calling Modi a thief.